MEDinART is a global and continuously growing platform that links bio-medical sciences with technology and arts and features the work of 153 artists, from more that 30 countries, that are inspired by all the aspects of biomedical sciences. Unique in its content and character, MEDinART intersects and harmonizes the unfamiliar territory of scientific images, concepts, practices and technologies of more than 25 biomedical fields with an extensive list of art forms. Through the universal language of SciArt, MEDinART, explores the interface between biomedical sciences with arts and the human body in all of its range, promotes the idea of science and art collaborations and creates a novel substrate for a fruitful dialogue between scientists, artists and society. MEDinART is an independent project that was launched at the main stage of TEDMEDLive Athens 2013 and since then it is constantly expanding promoting the bio-medical inspired art movement in international events, conferences, exhibitions, interviews and articles in newspapers/magazines. MEDinART has been presented through exhibitions, video projections and invited talks in International events and conferences in Europe (Belgium, Denmark, Greece, Spain, Switzerland), Kazakhstan as well as Saint Louis and Atlanta, USA. It has been collaborated and co-organised Science/Art events with the following International organisations: ΤΕDMEDLive Athens (2013), Fabrica Vitae (2014-today), BIOMAB (2014-today), Andreas Syggros Museum (2015), Vesalius Continuum (2015), Interalia Magazine-UK (2016-today), CardioMED2016 (2016), SciArt Magazine-New York (2017), Athens Science Festival (2017), CNIC PhDay (2017) as well as governmental bodies (Embassy of Belgium in Athens, Kazakhstan and Copenhagen). Creator, director and curator of MEDinART is Vasia Hatzi, PhD Geneticist. 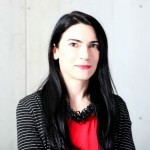 Vasia Hatzi holds a BSc in Genetics (University of Liverpool, UK), an MSc in Applied Genetics & Biotechnology (Aristotle University of Athens, GR) and a PhD in Cytogenetics (Medical School, University of Athens, GR). Currently she works as a Biologist at Benaki Phytopathological Institute, Athens-Greece. For her scientific work she has been nominated with 2 scholarships and 5 awards for presentations in international scientific conferences. Co-author of 30 peer reviewed publications, 4 book chapters, 70 presentations and abstracts in European and International Conferences, reviewer in 12 International journals and member of 5 International Societies. Outside the scientific laboratory she passionately explores the intersection of biomedical sciences and arts, design and technology. Combining her knowledge from the field of Cytogenetics with imagination and aiming to communicate her science through a different path, she created LaB. Bio-Conceptual Creations: the hybrid world of Biology and Art, where cellular structures of the microcosm are transformed into wearable bio-conceptual creations (www.La-B.gr). Willing to familiarize the general public with biomedical inspired art, connect the med-inspired artists from all around the world and globalise the medical art movement, she has inspired and created MEDinART (www.MEDinART.eu): the continuously growing global network of artists inspired by Biomedical Sciences. LaB. Bio-Conceptual Creations and MEDinART have been presented in National and International collaborative exhibitions and Sci/Art events in Europe (Greece, Belgium, Switzerland, Denmark, Spain) and USA (Saint Louis, Atlanta). TEDMEDLive Athens 2013, (21/04/13, Onassis Cultural Center, Athens, GR). Vesalius Continuum (4-8/09/14, Zakynthos, GR). Fabrica Vitae International Exhibition (4-8/09/2014, Zakynthos, GR). The Night of The Researcher (16 October 2014, NCSR “Demokritos”, Athens, GR). Andreas Vesalius 500th Birthday Symposium (18/09/2014, Copenhagen). 500th Birthday Celebration of Andreas Vesalius (17/12/2014, Andreas Syggros Museum, Athens, GR). University of Ghent (01/11/2014, Ghent, Belgium). Fabrica Vitae exhibition (26-28/02/15, St. Louis University, USA). Fabrica Vitae exhibition (02-05/03/15, Emory University, Atlanta, USA). Andreas Vesalius 500 Birthday Conference (06/10/15, Medical University of Astana, Kazakhstan). CardioMED2016 (05/03/2016, National Hellenic Research Foundation, Athens-GR). Athens Science Festival 2017 (29/03-02/04/2017, Technopolis, City of Athens-GR). CNIC PhDay 2017, Spanish National Center for Cardiovascular Research (24/11/2017, Madrid-Spain). Beyond Science exhibition, (09/04-14/04/19, Embassy of Cyprus. In collaboration with the A.G. Leventis Foundation Scholars Association, Athens-GR). 1. TEDMEDLive Athens 2013, “Medicine and Art Section”. Onassis Cultural Center, 21st April 2013. The section involved the launching of MEDinART network, screening of the MEDinART Video with the first 30 artists of the network, invited talk by Brooke Roberts and fashion show. 2. 500th Birthday Celebration of Andreas Vesalius, Athens-Greece. In collaboration with the Embassy of Belgium in Athens and Andreas Syggros Museum in Athens-Greece, 17th of December 2014. A multi-dimentional event of Medicine and Art dedicated to the great Flemish physician and artist, Andreas Vesalius. The event included private tour in Andreas Syggros Museum (Athens-Greece) and Fabrica Vitae contemporary art exhibition, film projections, book presentation (“In Search of Andreas Vesalius: The Quest for the Lost Grave” by Theo Dirix), Renaissance music concert and talks from distinguished speakers. Event Video. 3. 500th Birthday Celebration of Andreas Vesalius, Medical University Astana, Kazakhstan. In collaboration with the Embassy of the Kingdom of Belgium with the Medical University of Astana, to celebrate the 500th Birthday of Andreas Vesalius, the Belgian inventor of modern anatomy. The conference hosted distinguished Belgian and Kazakh specialists from the fields of medicine, history, art and modern technologies. October 6th, 2015, Medical University, Astana-Kazakhstan. 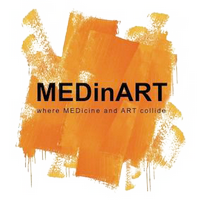 “MEDinART – where MEDicine and ART collide. Part One: The Greek Artists“. Athens Science Festival 2017, Technopolis Athens City, 29th of March – 2nd of April 2017, Athens-Greece. Artists: Mania Efstathiou, Leontios Hadjileontiadis, Keti Haliori, Vasia Hatzi, Christiana Kazakou, Peggy Kliafa, Maria Lambropoulou, Konstantinos N. Patsios, Eleni Petridou, George Vardakis, Sofia Vini, FAME Lab (interactive exhibition of thermophotography), MEDinART Video screening. 500th Birthday Celebration of Andreas Vesalius. “MEDinART: the global platform of artists inspired by biomedical scientists. From Andreas Vesalius to contemporary biomedical-inspired artists” (17/12/2014, Andreas Syggros Museum, Athens, GR). CardioMED2016. “Cardiology inspired art and becomes a universal symbol of inspiration: the paradigm of MEDinART” (05/03/2016, National Hellenic Research Foundation, Athens-GR). CNIC PhDay 2017. “MEDinART: where MEDicine and ART collide. Human Heart as a universal symbol in Art” (24/11/2017, Spanish National Center for Cardiovascular Research, Madrid-Spain). 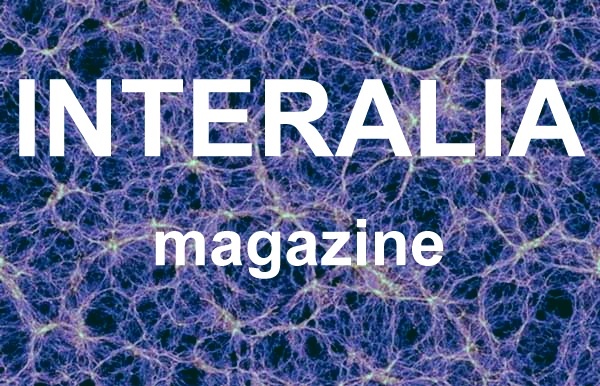 In Interalia Magazine: Online magazine dedicated to Art, Science and Consciousness. Editor-in-Chief: Richard Bright, Founder and Director of The Interalia Centre. (1) “Bio-Med-Art” (Issue June-July 2015). This double issue was co-edited with Vasia Hatzi, PhD Geneticist, artist, and founder of MEDinART. BioMedArt explores artists that are involved with and inspired by the biological and medical sciences. Contributions include exclusive interviews with Pascale Pollier, Angela Palmer, Peggy Kliafa, Chantal Pollier, Emilio Vavarella and Fito Segrera; articles by Suzanne Anker, Anna Dumitriu, Vasia Hatzi, Laura Splan, Christiana Kazakou, George Petrou, Cindy Stelmackowich, Theo Dirix and Yiannis Melanitis; plus ‘blog videos’ with Sivu, Leonardo da Vinci, Body of Songs and Dino Valls. (2) “The Art in HeArt” (Issue June 2016) was co-edited with Vasia Hatzi, PhD Geneticist, artist, and founder of MEDinART. The aim of the issue is to explore the work of artists that are inspired by the human heart, together with a scientist and medical illustrator who the discuss the relationship between cardiology and art. Contributions include articles by Chantal Pollier, Joanna Culley and Valentina Stefanescu; exclusive interviews with Helen Pynor, Peta Clancy, Vasia Hatzi, Benjamin A. Vierling, Julia Grapsa, Federico Carbajal and Κonstantinos Patsios. (1) Theo Dirix, “Fifty Things from Belgium” (pp. 157-159, 170-177). The book highlights a series of cultural events initiated by the Embassy of Belgium in Greece between 2011 and mid-2015. Published by the Embassy of Belgium, Greece. (2) Nikos Vatopoulos, “Andreas Vesalius Returns to Zakynthos” (article in Greek), Newspaper KATHIMERINI, Greece, 20/10/2015. (3) SciArt Magazine, New York, Issue October 2016. Spaces & Places: MEDinART. (4) Maria Alexiou, “MΕDinART: Όταν η Ιατρική συναντά την Τέχνη. Το «υβριδικό» σημείο συνάντησης δύο φαινομενικά ασύνδετων κόσμων” (article in Greek), Athens Voice, Greece, 31/03/2017. (5) Science Views, Issue May 2017. (6) A. Avramouli; M. Gonidi, M. Lambropoulou. (2017).”Microscopy as a form of art“. Technoetic Arts. Volume 15(2), pp. 195-202(8). Publisher: Intellect. (1) Greek public TV channel NERIT. Emission “Επιμένουμε Ελλάδα”. Vasia Hatzi has been interviewed about MEDinART and the event “Vesalius Continuum, Zakynthos, 2014” together with Marc Van Den Reeck, Ambassador of Belgium in Greece. (2) INTERALIA Magazine (“Bio-Med-Art“, Issue June-July 2015). Online magazine dedicated to Art, Science and Consciousness. Editor-in-Chief of Interalia magazine: Richard Bright, Founder and Director of The Interalia Centre. (3) INTERALIA Magazine (“The Art in HeArt“, Issue June 2016). Online magazine dedicated to Art, Science and Consciousness. Editor-in-Chief of Interalia magazine: Richard Bright, Founder and Director of The Interalia Centre. (4) SKAI TV (ACTION24, 20 April 2018). “Today”. Journalist: Maira Barba. Interview in Greek. BIOMAB: The Biological and Medical art in Belgium. BIOMAB Board: Francis Van Glabbeek (president), Geert Van Eeckhout (secretary), Ann Van de Velde (treasurer), Caitlin Monney (international affairs), Pascale Pollier-Green (scientific advisor ARSIC). SciArt Magazine, New York: the digital and print magazine and blog. Editor-in-Chief of SciArt Magazine: Julia Buntaine, Founder and Director of SciArt Center, NY. Subscribe to online SciArt Magazine, HERE. Subscribe to printed SciArt Magazine, HERE. Science View: Science Views is a monthly bulletin published by Science View, that focuses on EU and Greek R&D, policy, science and innovation news. The views expressed in Science Views are those of the individual writers, and not necessarily those of Science View. Unsigned articles come from selected press releases from scientists, research institutions and the EU. Publisher: Menelaos Sotiriou, Chief Editor: Spiros Kitsinelis, Content & Layout Editor: Koukovinis Alexandros.